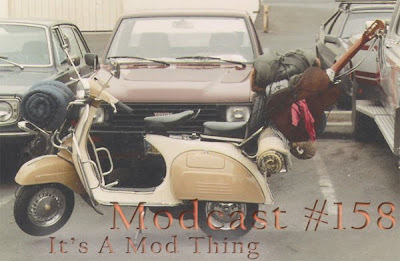 This week the mod world is full up with cool sounds both new and old. New from The Futureheads and Ocean Colour Scene, and old from the likes of The Doors and Pimlico. It's a good show, I guarantee it. If you've been perusing past shows and find some that aren't currently available just leave me a comment and I'll put them back online. Storage and bandwidth cost money, so some of the older shows aren't available anymore. That's why I do the From The Vaults shows where I dust off old modcasts and repost them.